The Matador Freerain24 is an ultralight packable daypack that excels in wet climates and partners well with any one bag travel pack. Matador has released an updated version of this pack—the Freerain24 2.0. When you’re traveling around the world, a 40L backpack is great for hauling your entire loadout from country to country, but not so great for packing a few items while you’re out for the day at your destination. Sure, you could throw nothing but a sweater into your 40-liter, but it’s a bit… excessive. 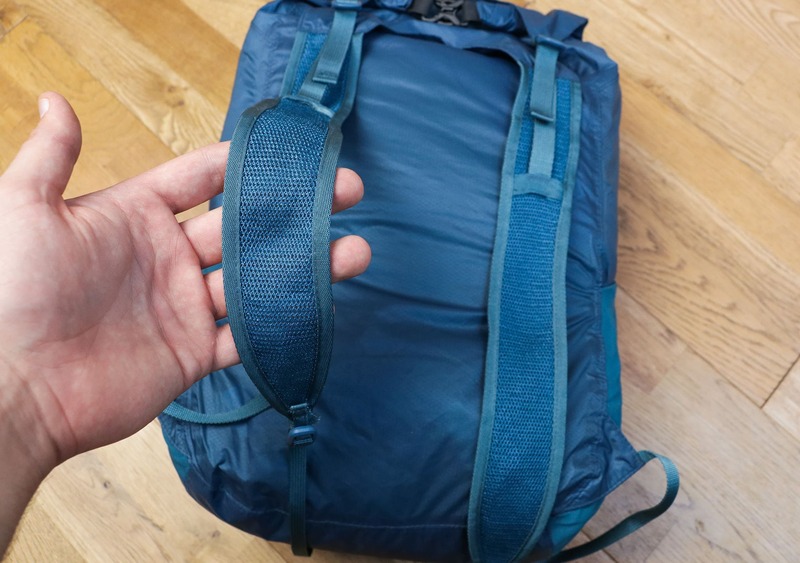 How about a 24L daypack that compresses down to the size of your fist? We think that’s a much better option. The Matador Freerain24 is the weather-resistant and slightly larger roll top cousin of the DL16—and sits alongside the influx of packable daypacks hitting the market, like the PNW Sea To Sky, Mystery Ranch In & Out, and Tortuga Setout Packable Daypack. 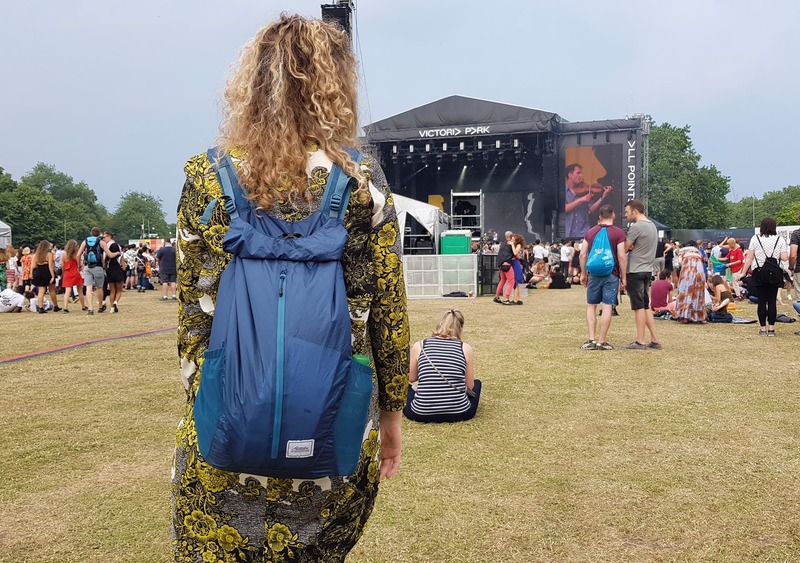 Over the last three months, this pack has seen use at music festivals in the UK and on mountain treks in Spain. So, just how weather-resistant is this thing? And how well does it work in the real world? Let’s get into this review and find out. We’re big fans of the simple, minimalistic, and streamlined design of the Matador Freerain24. We decided to ask our Instagram audience too, and an impressive 64% of you (out of 165 votes) gave it the thumbs up! We tend to agree with that 65%, Matador certainly knows how to make some great looking gear. The singular piece of branding on display is a lovely white fabric logo on the front—similar to what you’ll find on nearly every piece of Matador gear. It’s unobtrusive, and we like it. Editor’s note: If you haven’t noticed already, we’re starting to do aesthetic polls for most of the gear we test on our Instagram account. We know that beauty is in the eye of the beholder, so we like to get our audience’s input before we just throw our opinion out there. 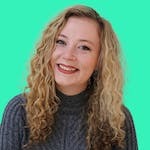 If you’re looking to get in on these polls or check out some of our other travel-themed content, we’d love to have you! Just give us a follow @packhacker. The Freerain24 is made of 30D siliconized CORDURA® ripstop nylon. If you aren’t a fabric-holic, you just need to know that this is a thin and lightweight material, which also quite durable and resistant to rips—not too shabby. This fabric, combined with the Hypalon® rolltop and internally sealed seams, makes the main compartment completely waterproof. Yes, you read that right—waterproof, not just water-resistant. Here at Pack Hacker, we take the word “waterproof” very literally (as one should). We had to put this to the test, so we placed some toilet paper inside and fully submerged this pack in our bathtub. We did see some tiny air bubbles from the seams when we applied pressure on the bag, but we’re pleased to say that no water got inside. The paper was completely dry. It’s important to note, however, that only the main compartment is completely waterproof. The front zippered compartment does feature a highly weather-resistant SBS sealed zipper, but when submerged, water did leak through it. 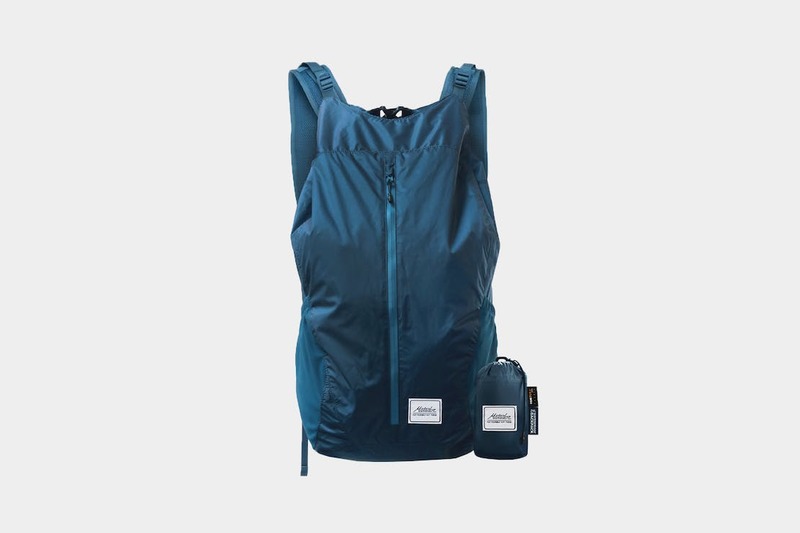 So, while we don’t recommend jumping into a lake with this pack on your back—if you’re dodging waterfalls in Southeast Asia or getting drenched dancing to your favorite band at a music festival, we’re confident this pack will keep your items dry. Although, to be fair, if you’re only using the main compartment you’d be just fine jumping into a lake! The plastic buckles on the shoulder straps and load-lifters are Duraflex, while the rolltop buckle is an Onyx SR Loop from ITW NEXUS®. 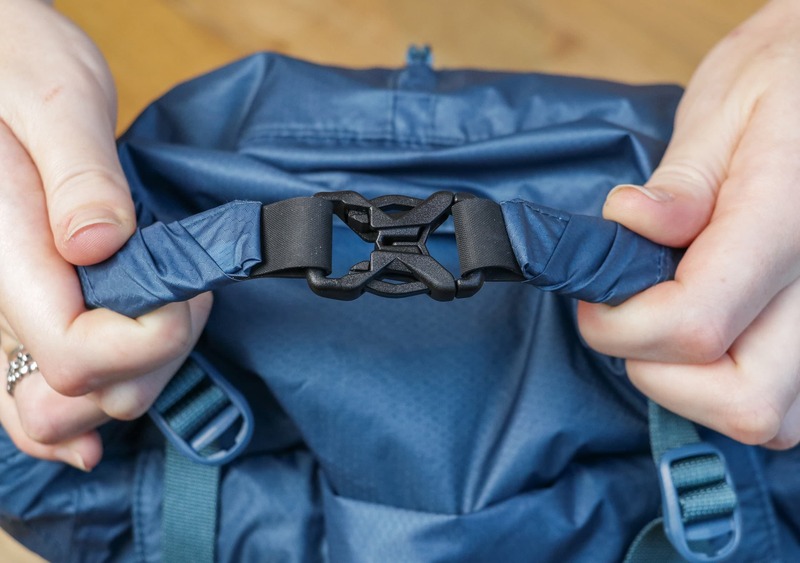 You’ll find Duraflex hardware on most backpacks—and we’ve never encountered any problems with them—but you may not have come across ITW NEXUS® before. All you need to know is they make a lot of military buckles, so we’re confident they know what they’re doing. 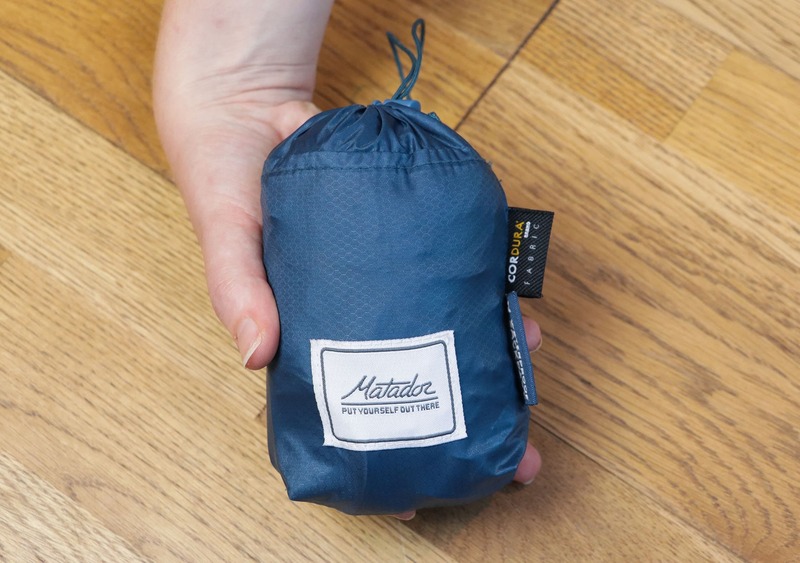 The 24L Matador Freerain24 compresses into a sack smaller than a can of soda—4.8” x 3” x 2” to be precise. 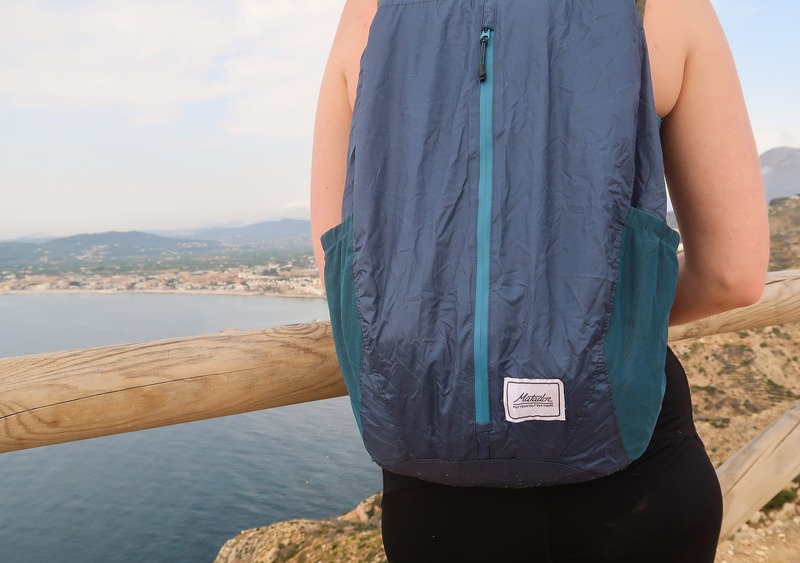 As an additional daypack for your larger one bag travel pack, the compressed Freerain24 is going to take up virtually no space in your pack—and literally none at all if you attach it to the outside of your pack with a carabiner, via the looped tab on the compression sack. You can take the Freerain24 out of the compression sack in a heartbeat, and even though it’s a bit difficult to get it back in at first, it’s something you’ll get the hang of pretty quickly after a few days of use. 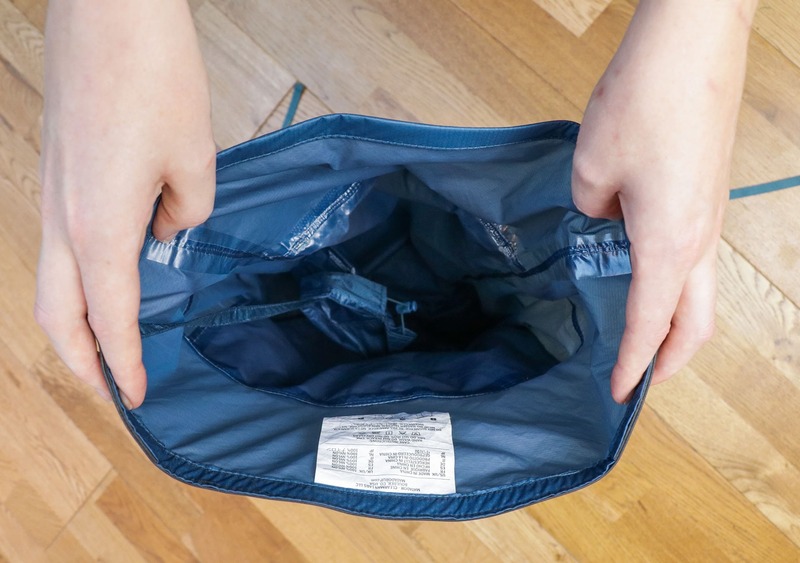 One feature we’re digging is that the compression sack is attached to the inside of the bag. This is a big deal for us because it means you’ll never lose it—excellent thinking from Matador! The shoulder straps on this thing have been constructed using a thin mesh. When you’ve just got a thin sweatshirt and other lighter items inside, the straps provide a surprisingly comfortable carry. However, when you’re packing heavier items—like a laptop—the straps are going to dig in a bit. This is a pain, but when the trade-off is being able to compress this thing into a tiny sack, we’re cool with it. As well as being able to adjust the length of the straps, the Freerain24 also features load-lifters. 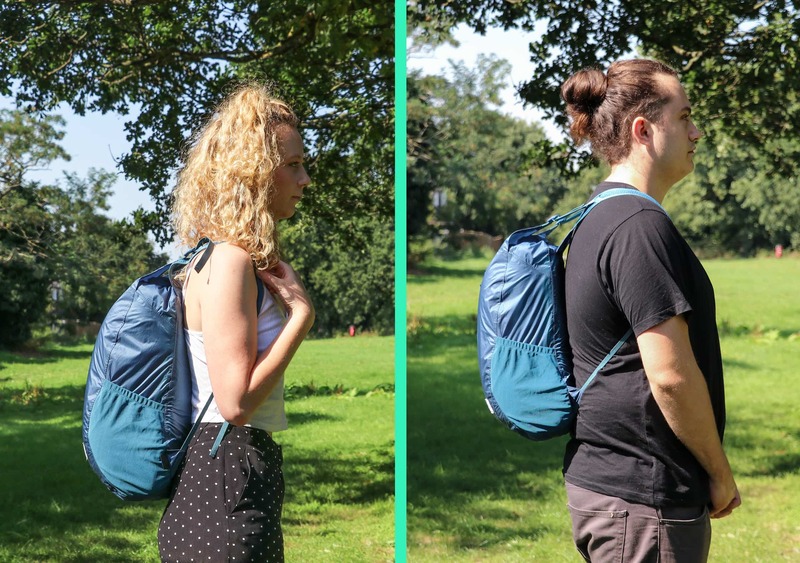 For such a small pack, this is pretty cool—and it means you can bring the top of the bag close to your back, improving carry. In testing, we were able to adjust the carry easily and efficiently between someone that’s 6’4” and 5’7”. 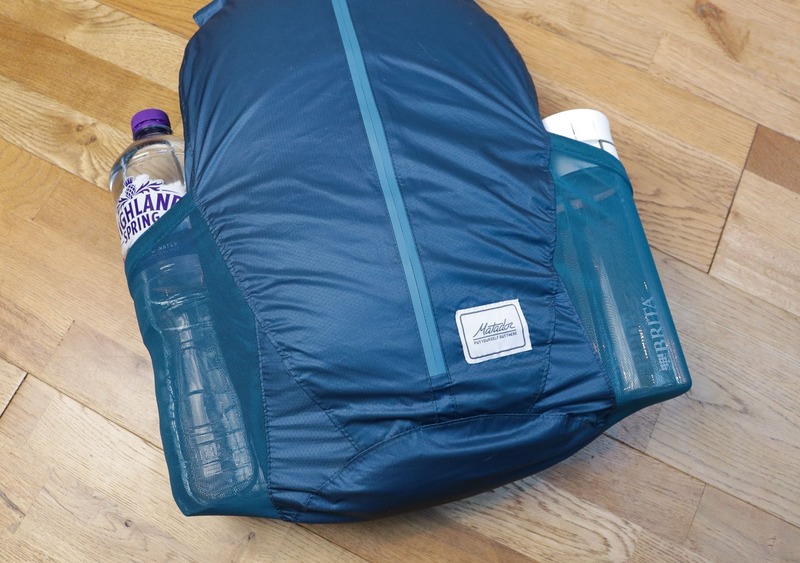 On either side of this pack, there are mesh side pockets—perfect for water bottles of any size, or a bottle of beer (if that’s your thing). The elastic mesh also means that even if this pack is full to the brim, you can still use the side pockets to full capacity. The rolltop opening gives you access to what is essentially a large bucket, for you to chuck a load of stuff into. This bucket (main) compartment is plenty big enough for a 15” laptop, and will still leave enough room for accessory pouches, clothes, and so on. The thin material isn’t going to protect your items very well, so we highly recommend some padded pouches—like the GORUCK GR2 Field Pocket—that will also help with internal organization. Additionally, we’d recommend using a case for your laptop, and if you’re carrying a camera, an F-Stop ICU is a great choice for some added protection. At the front of the pack, there’s a long zippered quick-grab pocket which is great for any items you may need in a hurry, saving you the hassle of opening the rolltop. 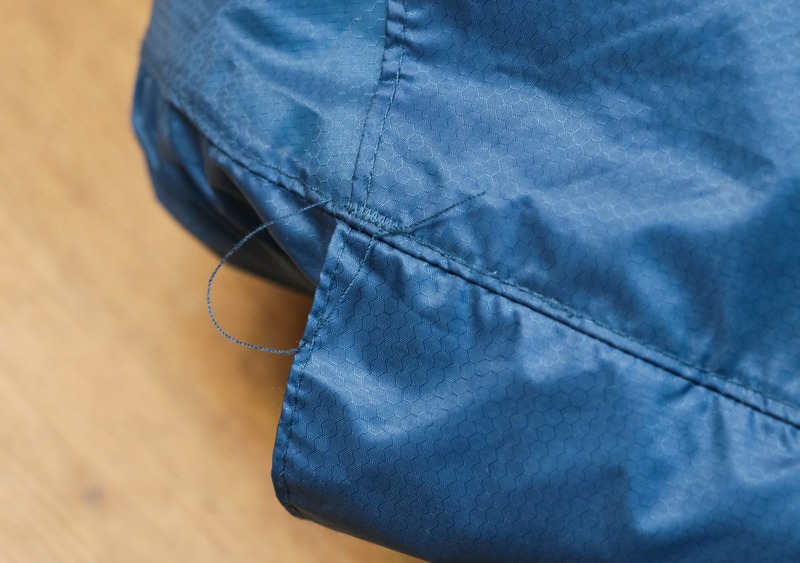 And as we mentioned before, the zip is a sealed SBS zip—so, while it’s not entirely waterproof like the main compartment, it’s highly weather-resistant. We’ve been testing the Matador Freerain24 for three months now, and it’s seen use in Spain and in and around London, England. 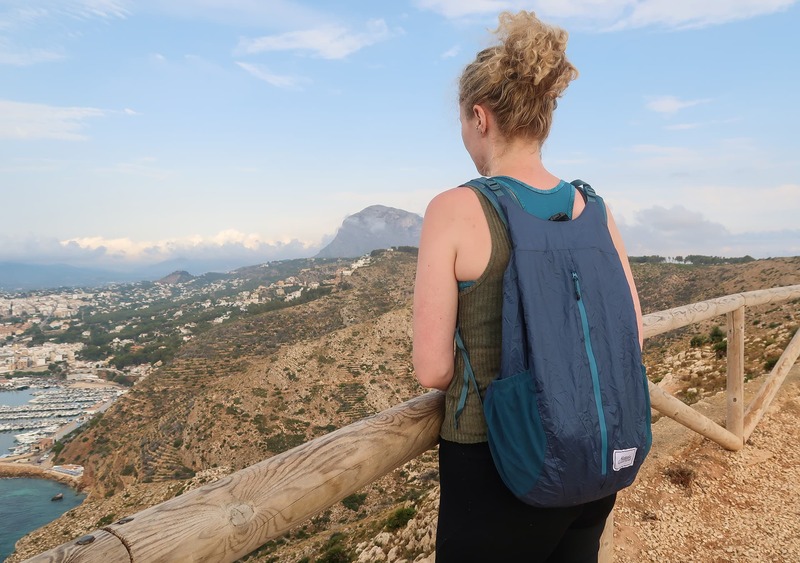 During that time we’ve enjoyed its practicality and the benefits of being able to bring a daypack along with on one bag travel trips. We’ve found a few loose threads, and while the overall craftsmanship isn’t amazing, there’s nothing that drastically affects the integrity of the pack. All of the other Matador gear we’ve tested is still going strong, and after three months of testing, the Freerain24 is trending in the same direction. Whereas the previously reviewed Matador DL16 excels in an urban city environment, the Freerain24 is the packable daypack you’ll want to pick up if you’re heading out somewhere more adventurous. This pack is a perfect companion to rainier climates, and the added load-lifter straps provide a fully adjustable and comfortable carry system. In testing, we’ve found the few gripes that we have—like the thin mesh straps and lack of protection—are heavily outweighed by the fact this thing compresses into a tiny sack, which fits within the palm of your hand. Loving the color, and it compresses into a tiny package! 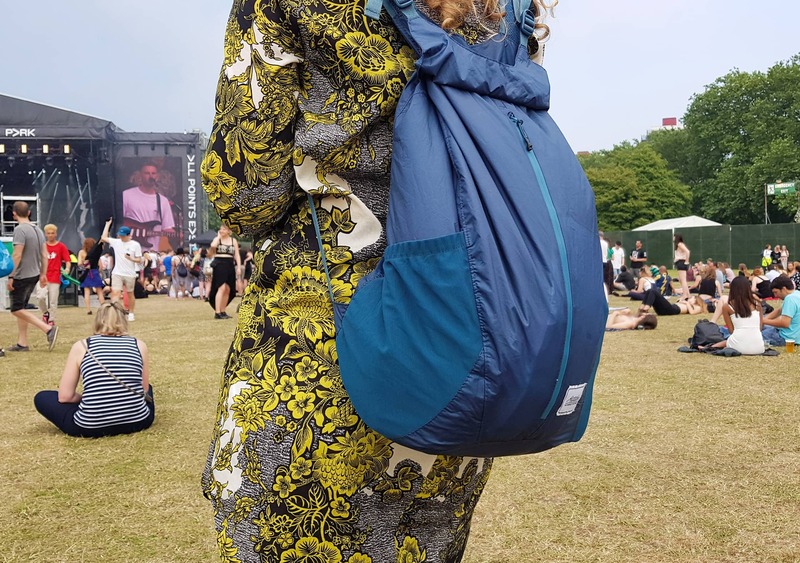 The waterproof main compartment came in handy when it started raining at a music festival. Straps can dig in when you’re carrying a heavier load. Other than some loose threads, it’s still going strong. The main compartment is waterproof. Side water bottle pockets and quick-grab pocket are great. Shoulder straps can dig in when carrying a heavier load. The Matador Freerain24 is perfect for minimal one bag travelers who want an additional daypack without having to compromise on space. With its lightweight and durable material, waterproof main compartment and load-lifters, this pack is ready for any adventure you may be embarking on. 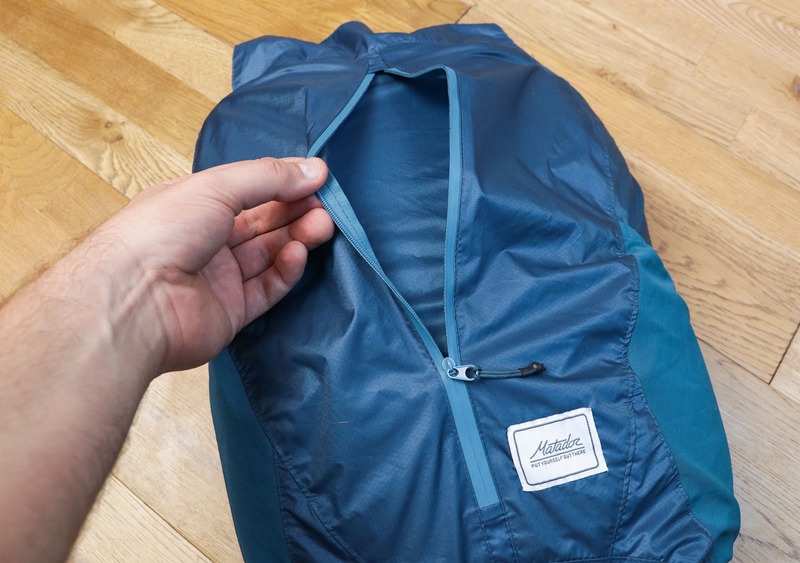 Matador makes some of the best packable gear on the market, and they’ve hit it out of the park once again with the Freerain24.